It’s another one for the record books. 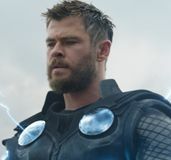 Along with the prize for highest first weekend in domestic history, The Avengers has now earned the highest second weekend with an estimated $103.1 million from 4,349 locations. That crushes Avatar’s former sophomore record of $75.6 million and represents a decline of just 50% – a better hold than The Dark Knight managed in its second frame. Even more exciting for Disney and Marvel, the worldwide estimate for The Avengers has now topped One Billion. Unfortunately, good news for The Avengers means not-so-good news for Dark Shadows. The latest collaboration of Tim Burton and Johnny Depp earned an estimated $28.8 million from 3,755 locations, or a bit less than The Avengers made on Friday alone. 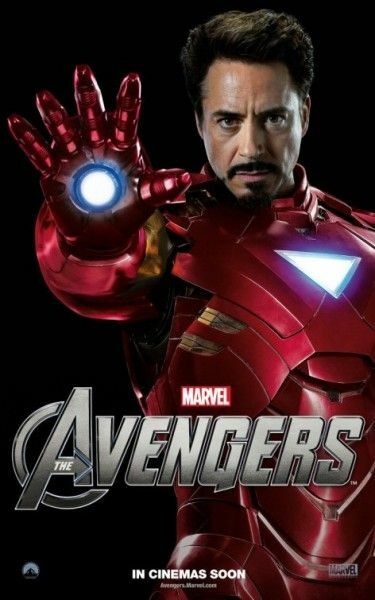 For the second weekend in a row, The Avengers has made breaking a box office record look easy. 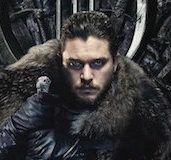 As if it wasn’t impressive enough that the film topped $200 million in its first outing, it has now made the dream of a $100 million second-weekend a reality. Considering that it has been ten years since Spider-Man became the first movie to break $100 million, and that few people saw last weekend’s $200 million landmark coming, this historic second weekend wasn’t on anyone’s radar until a few days ago. That’s partially because $100 million seemed an unattainable goal for a holdover and partially because most people assumed that The Avengers would lose more than 50% in its sophomore frame. In 2008, The Dark Knight fell by almost 53% its second time out, and most people had The Avengers’ odds at about the same. But, once again, the superheroes beat our expectations; and, while the film’s hold is not as impressive as Spider-Man’s 63% in 2002, it was certainly stronger than The Hunger Games, TDK, and many other recent ‘blockbusters’ could manage on their second weekends. So, now that The Avengers has captured another record, let’s update where the blockbuster stands. With Sunday’s estimate, the film has now earned a gigantic $373.1 million in the US over 10 days. That already tops the final gross for both Iron Man features ($318.4/$312.4) and equals the domestic total of Spider-Man 2 ($373.5). Worldwide, Disney estimates that the film has earned $1.002 Billion, putting it in eleventh place on the list of All-Time earners, right behind Tim Burton’s Alice In Wonderland with $1.024. Speaking of Tim Burton, did you know that this was the week that Dark Shadows was coming out? Don’t worry, a lot of other people seemed to have forgotten as well. The latest pairing of Burton and his muse, Johnny Depp, was a bit of a financial let-down, despite being the only wide release of the weekend. 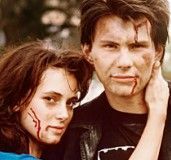 Instead of the $35 million that was projected, the director’s take on TV’s classic vampire soap opera commanded just $28.8 million. With The Avengers looming large, no one expected outsized numbers from Dark Shadows – especially after the critics weighed in. But most of us did expect the film to get to $30 million, based on Depp’s appeal and the size of WB’s marketing effort. 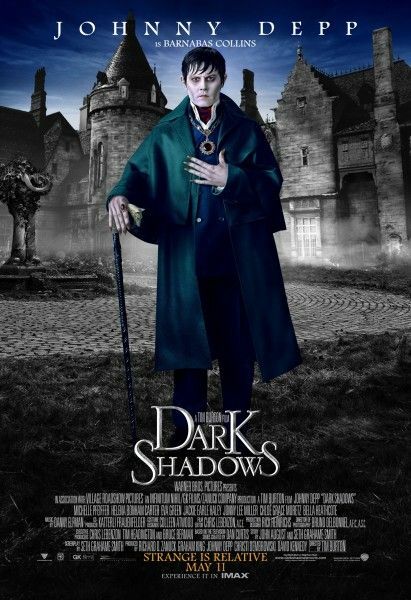 The reported budget on Dark Shadows is $150 million, so the studio is going to have to depend on Depp’s international appeal to make this one a financial winner. The all-consuming interest in The Avengers (combined with the lack of interest in Dark Shadows) allowed two limited releases to sneak in to the top ten this weekend. First, in 178 locations, is Fox Searchlight’s Best Exotic Marigold Hotel, which earned an impressive per-screen average of just under $15,000. Then, at number ten with an estimated $1.35 million from 322 locations, is Lionsgate’s Girl in Progress. Considering that I haven’t seen one bit of advertising for this dramedy, I’d say that’s pretty impressive as well. After last weekend’s box office record-breaker I wondered how front-loaded The Avengers would be. So far? Not very. Assuming that the film can maintain this level of interest next weekend, what would a total of $50 million mean for the debut of Peter Berg’s Battleship? We all know that word of mouth on the Hasbro movie has been, er, mixed. And, unlike Dark Shadows, Battleship was designed to appeal to precisely the same audience as our reigning superhero champs. Think there’s room for two at the top?